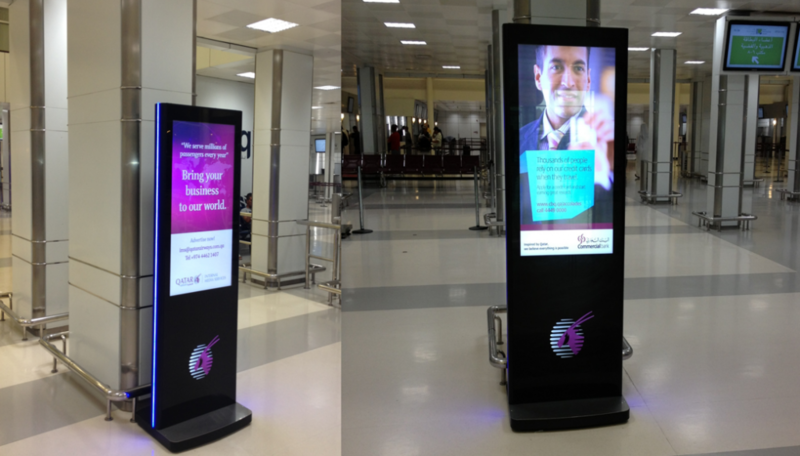 The project was to design and implement interactive digital signage network to improve airport communication with the passengers and to provide Qatar Airways advertisers with a new form of advertising to promote their products and services inside the airport. 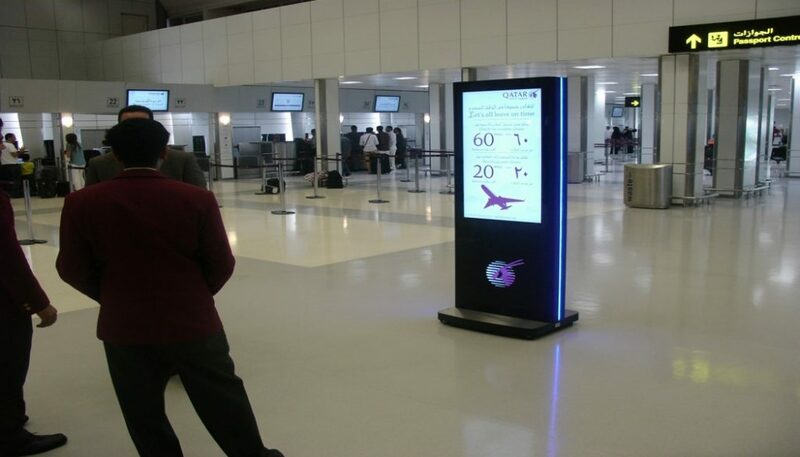 ASINVENT was awarded the project to design, supply, installation and maintenance of Qatar Airways Interactive Displays and Digital Signage system inside the airport. The scope was to design, supply, delivery, installation and commission of customized Interactive displays & Digital Signage system and to provide Level 1 maintenance Support Services for five years. 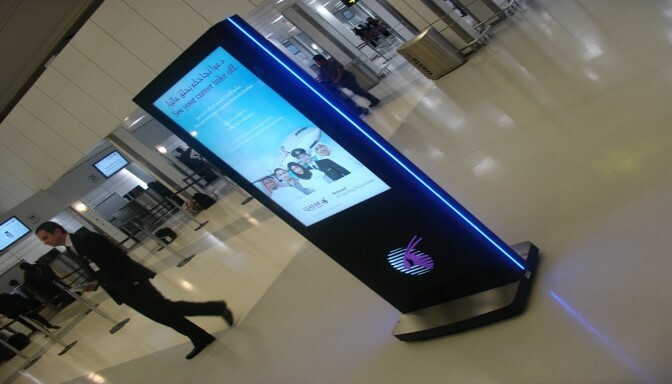 The implementation created a benchmark for the other Qatar Airways departments and received public recognition as it was the first interactive displays in the country. The solution is not just an interactive displays but an integral part of the Doha International Airport daily announcement and live feeds data. It has substantially increased the efficiency and made DIA one of the most state of the Art Airport in the Middle East.